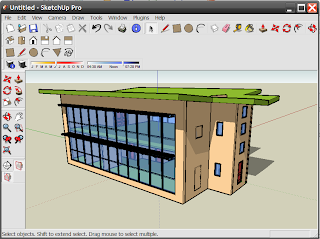 If you happen to own a copy of Sketchup and Revit this plugin is well worth taking a look. The IFC2SKP is in beta and is free to use. There are no time restrictions or limits. As its still in beta, its a bit buggy, but it will allow you to import your Revit IFC format model into Sketchup. It does seem to work reasonable well; although if Sketchup crashes during import just do a restart and repeat the process, this is certainly the guidance that is provided in the help files and it worked for me. 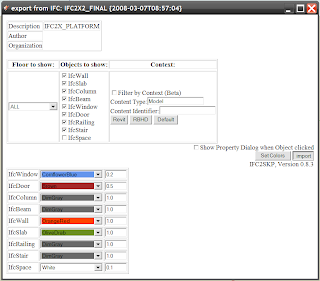 Once you have the plugin installed in Sketchup, start by exporting you Revit model out as an IFC file. In Sketchup under your plugins pull down menu you should find the IFC converter menu installed. 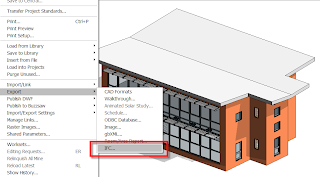 First select “show model” from the menu, a dialogue box will then open showing the various IFC settings; it’s worth setting the Content Identifier to Revit, then just import. If it fails first time, give it another go, it will get there in the end. As I mentioned, this is beta software, but it’s certainly worth playing with if you are looking to import your model in to Sketchup to give it that hand drawn look.